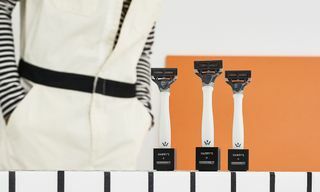 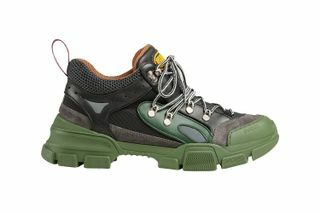 Key Features: Chunky aesthetic, mixed material construction consisting of technical canvas, leather, suede and rubber. 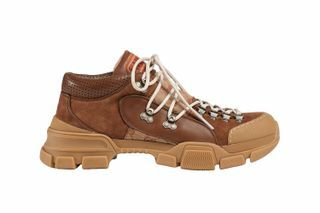 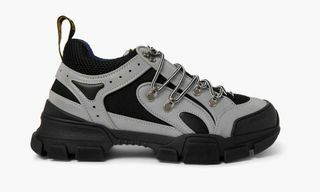 Perforated padded ankle collar, rubber Gucci patch in SEGA font, hiking-inspired eyelets, rubber lug sole. 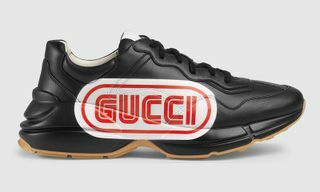 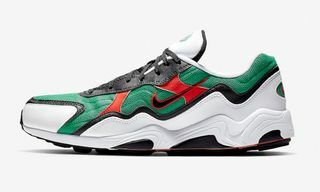 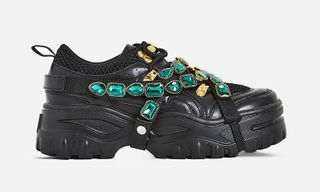 Editor’s Notes: Fresh off the release of the Gucci-Dapper Dan collection, the elite fashion house has released more standout footwear as part of its FW18 range, taking cues from its recent chunky SEGA sneaker. 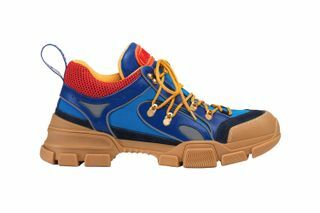 This hiking-inspired silhouette is defined by its key featured noted above, and rendered in three colorways, consisting of blue/gum, green/black and in tonal brown with the classic ‘GG’ monogram detailing. 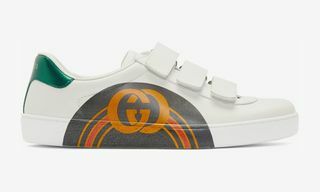 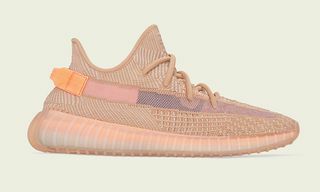 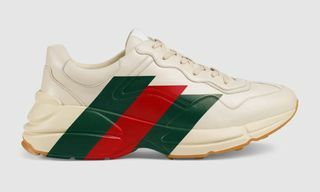 You can find all pairs at Gucci retailers worldwide and online now.